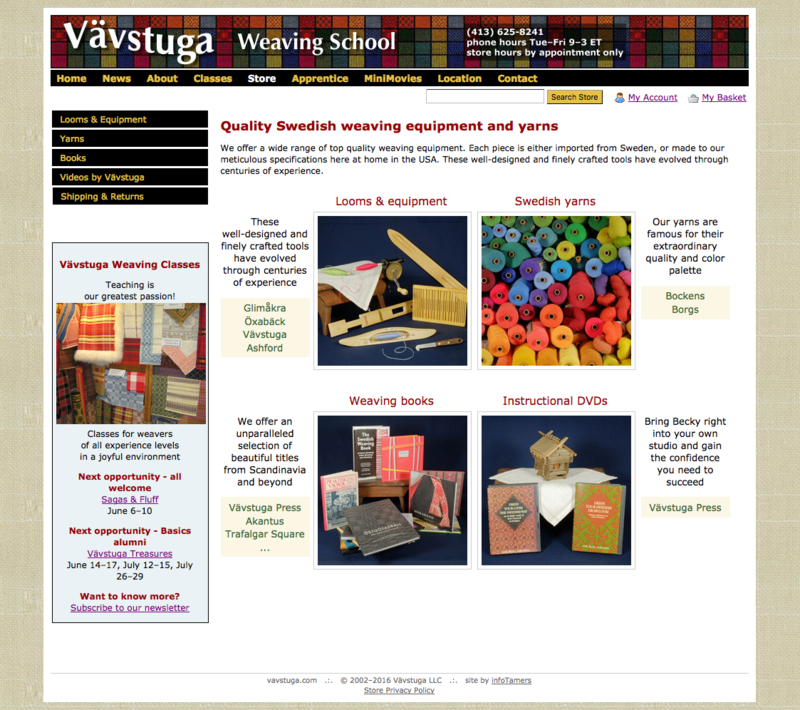 It was an exciting step for Vävstuga to move into fully functional online sales, expanding from a compact series of price tables into an extensive catalog of well-described and well-photographed items. The customer’s experience of shopping for yarns received an especial outpouring of loving attention: real photos of dozens of yarns that come in hundreds of colors, inspirational photos of projects one can weave from them, and an original custom-coded Yarn Playground that lets the user collect color swatches and rearrange them on-screen to see how they look next to each other. This store is built in Miva Merchant.